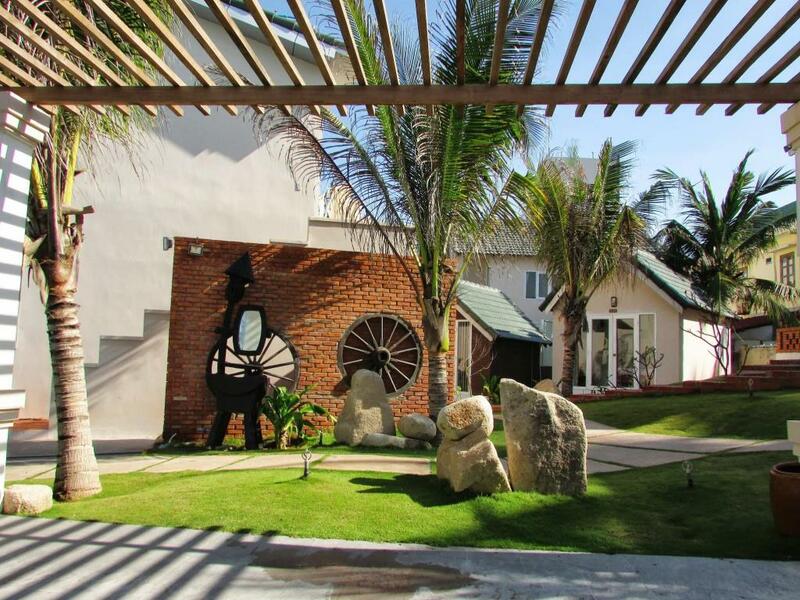 When traveling Mui Ne, you don’t have to concern about where to stay here. We will introduce you some following information about some accommodations in this destination which are very useful for you. From that, you will have completely wonderful journey in Mui Ne- the heaven of tourism in Vietnam. 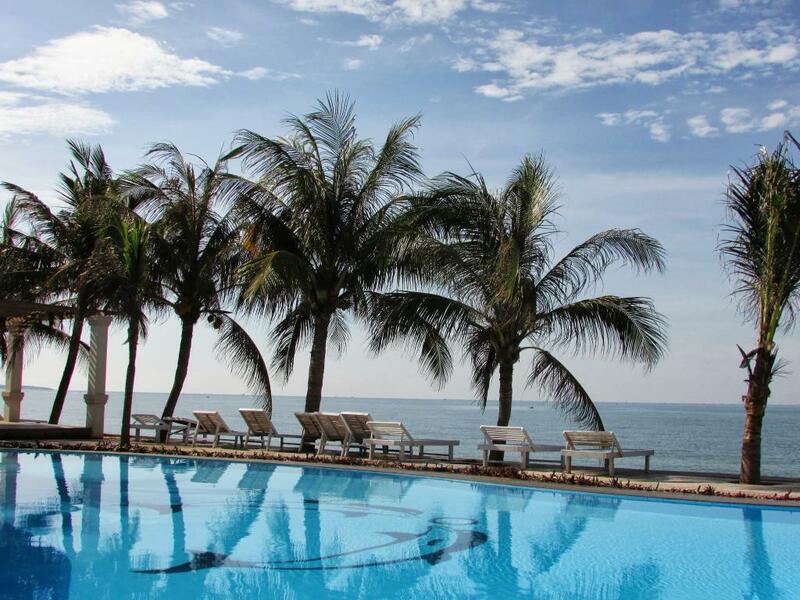 Mui Ne Paradise Beach Resort is located at 130C, Nguyen Dinh Chieu street which is the center of Mui Ne tourist destination. This accommodation is about 500 meters far from Mui Ne Market, 5 kilometers far from Con Cat and 5 kilometers far from Hon Rom Beach. There are 36 rooms in this resorts which are very cozy. The designs are the perfect mixture of modern style and the delicacy of local architecture. Each of rooms are equipped with many useful devices such as interactive television, air- conditioner, free wifi, fridge, closet and so on. All the bathrooms consist of shower, heater, bathtub, hair- drier and so on. 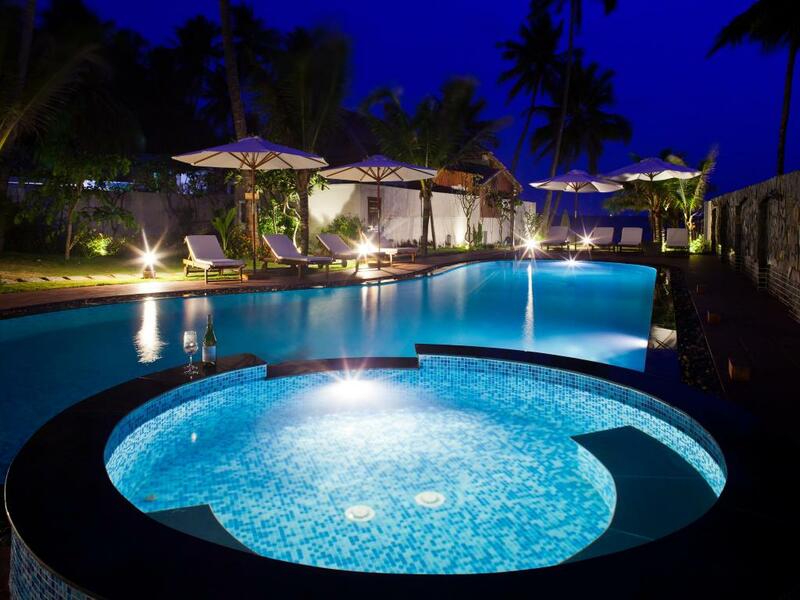 Moreover, Mui Ne Paradise Beach Resort has outside pool. Therefore, you can have a small party or BBQ with your family and friends. Especially, you can hire a bicycle to explore around from the receptionist. The reception is available all the time in day to support you. To be more convenient for you, Mui Ne Paradise Beach Resort also has picking- up- service in the airport. 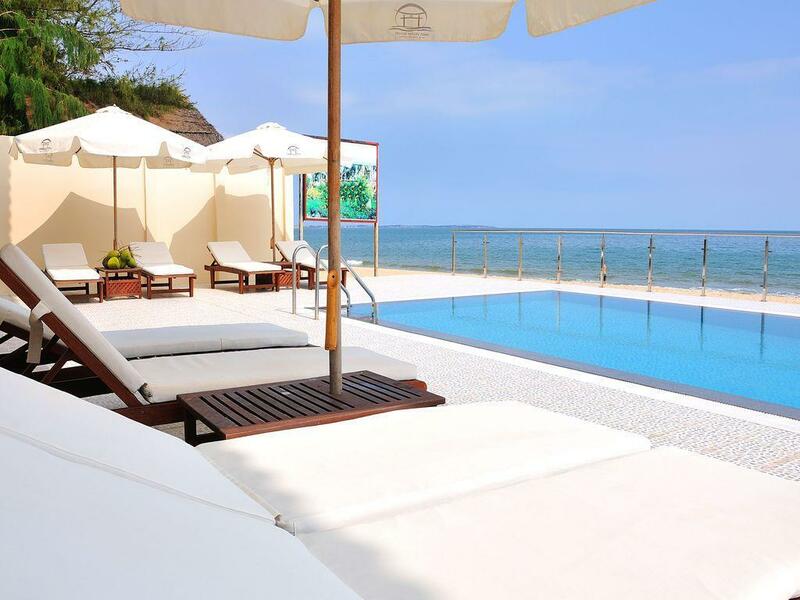 Swiss Village Resort and Spa is opposite to Mui Ne beach and only about 600 meters far from the beach. It takes you about 15 minutes to move between this accommodation and Indigo Tower, 20 minutes to move to the center of Phan Thiet city. All the rooms in Swiss Village have private balconies with beautiful views, cable TV, minibar and safe vault for you to save money or valuable things. In the bathroom, almost everything convenient are available. Therefore, you will feel this resort as your own home. 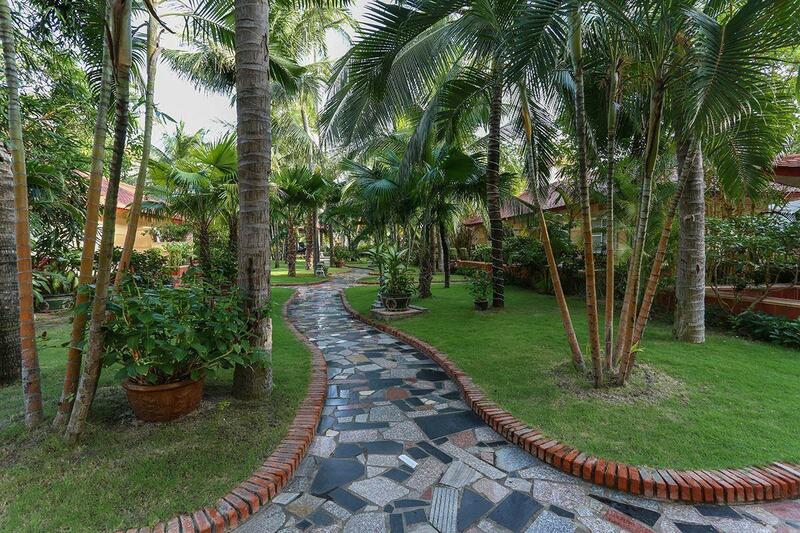 Moreover, Swiss Village Resort and Spa also serves massage service, playing area for kids and tennis court for adults. Because this place is on the bank, Orchid Restaurant can serve you fresh seafood as well as local and international dishes. Coral Sea Resort is about 1 kilometer far from Mui Ne fishing village and 3 kilometers far from Con Cat. Especially, this accommodation is next to the sea. Therefore, it will be very convenient for you to move to the beach. In other words, it can save you a lot of time and money in moving. Coral Sea Resort also has outside pool and free wifi around the campus. All the rooms in this resort have bricked floor, air- conditioner, safe vault, cable TV with flat screen, minibar and guest area. In bathroom, there are many modern equipment such as hair- drier, heater, bathrobe and so on which are very convenient for you. 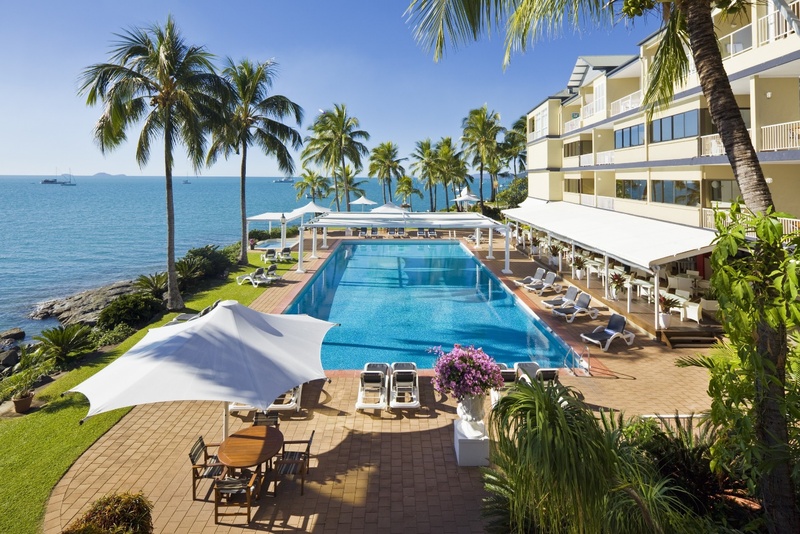 Moreover, Coral Sea Resort can help you arrange luggage, exchange money, wash clothing and so on. In particular, you can book tour from the reception and ask them for suitable routes. Besides, if you have any questions about Mui Ne such as what the special food is or what to buy as presents for your family and friends, you can also ask the receptionists for advice. This accommodation is appreciated by tourists with qualified service and friendly attitude. With the mentioned information about some wonderful accommodations in Mui Ne beach, you can find the suitable one for yourselves. From that where to stay in this arrival can’t make you embarrassed anymore. You will have more time to prepare for other things and have a complete journey in Mui Ne.